Members of Luther PRIDE in Chicago. 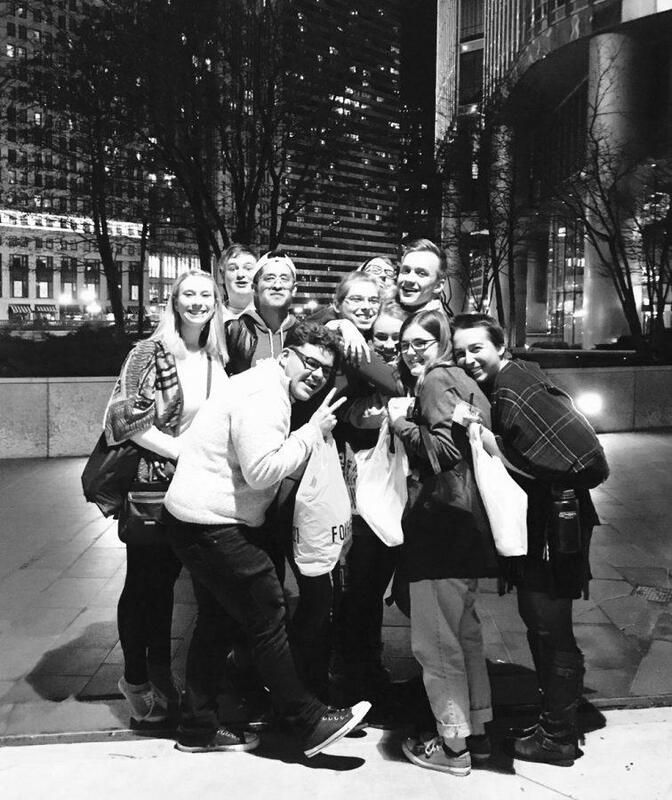 Luther’s PRIDE organization traveled to the Midwest Bisexual, Lesbian, Gay, Transgender and Ally College Conference (MBLGTACC) in Chicago on Feb. 17-19 to engage in group discussion and workshops. According to Luther PRIDE Vice President Hannah Will (‘17), the conference features workshops regarding various topics, such as intersectionality. Will added that there are also workshops on the topics of various movements, such as Black Lives Matter and Queer People of Color, that offer support. Will said that between PRIDE’s meeting topics, which switch between both social and educational concepts for the LGBT+ community every other week, the conference will hopefully spark ideas for them to help to better educate the Luther community on what PRIDE believes in. Anians added that the conference allows for expression of self and exposure to others who are also accepting. Luther PRIDE member Pablo Alonso (‘17) said the conference provides a weekend of relaxation for allies of the LGBT community and those who identify as a gender, sexual, and romantic minorities. MBLGTACC began in 1993, with many colleges in the midwest attending to show support with the LGBT+ community. According to Will, Luther students have attended the event for several years.